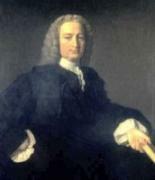 Thomas Ingram was born in County Donegal, and was educated at Trinity College, Dublin, and Queen's College, Belfast. In 1853 he graduated in law and in 1856 was called to the Bar. From 1856 to 1867 he was Professor of Hindu Law in Calcutta. Among other works he wrote History of the Union.